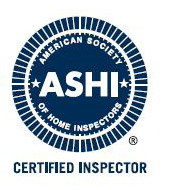 Over 20 years of Inspection Experience! Why choose JM Inspections, LLC? Based in West Pittston, PA and providing service to the greater Scranton and Wilkes-Barre areas, JM Inspections, LLC meets the needs of discerning customers seeking to know the details of their home or business properties. You can trust that during our 20 years in the inspection industry, we've learned how to complete a comprehensive inspection and provide the answers you need. When it's time for a home inspection, you want to know that the company you choose has your well-being in mind. From the moment we arrive, on time and ready to get started, you'll be informed of every step we're taking to get to know your home. At the end of the job, you'll have a written report in hand with all of the details of the inspection results. As a locally owned and operated business, we understand our clientele and work hard to provide the service you want and deserve. Our knowledgeable and friendly licensed inspectors provide the information you need to have peace of mind about your new or current property. Find out more about our services when you call today. JM Inspections, LLC does it all! Get the full benefits of the work that our experienced inspector can complete by selecting several services. When you combine inspection services, you'll reap the benefit of excellent savings. Learn how you can save money with our combination discounts by contacting us now for your next inspection, asbestos testing, radon testing or termite inspection. When it's time for a quality inspection, Scranton, PA residents and those in the surrounding areas like Pittston and Wilkes-Barre choose JM Inspections, LCC. Learn more about how you can benefit from a top-notch home inspection now. Whatever you suspect, we're here to identify the problem or put your worries at ease. Get the information you need to make a wise decision by calling today for radon testing, asbestos tests, and termite inspection.